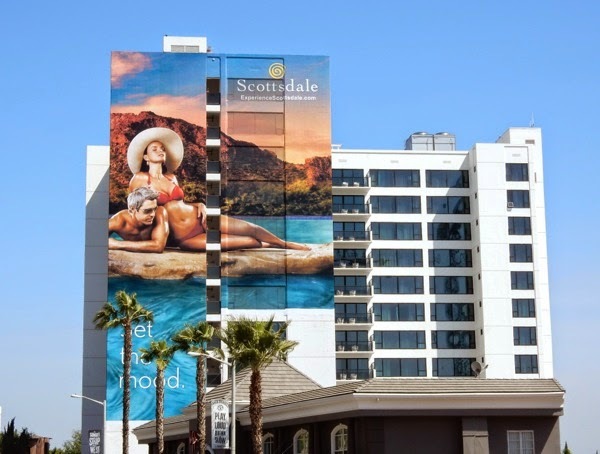 If you need help getting in the mood for Summer, maybe this massive tourism billboard for Scottsdale, Arizona will help tickle your fancy. Are you enticed by these sunbathing beauties, and did you even think Scottsdale had this to offer? Are you in need of a relaxing spa retreat, a desert adventure, a round of golf, or some downtown nightlife? 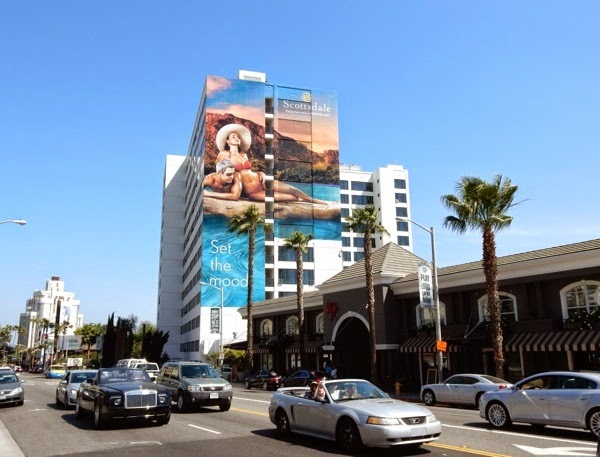 With only a short hour and twenty-five minute or so flight from LAX to Phoenix, there's no surprise this Arizona city is trying to make a big impression in the City of Angels (although L.A. has beaches and swimming pools aplenty). This super-sized billboard for Scottsdale was first spied along West Hollywood's busy Sunset Strip on the side of the infamous Mondrian Hotel on March 31, 2015. 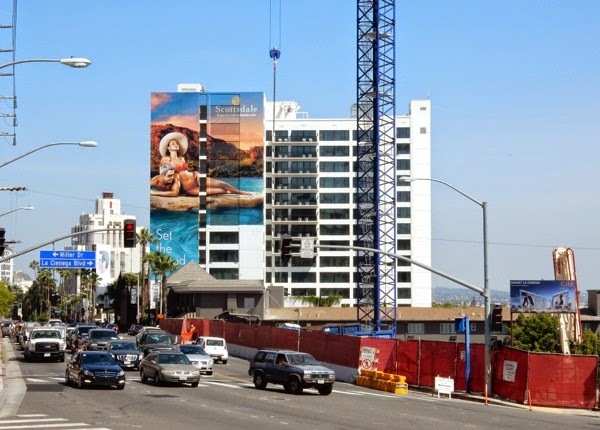 Plus it's not the first time the Grand Canyon State has tried to tempt passersby in L.A. though, as these Arizona tourism billboards from early last year illustrate. 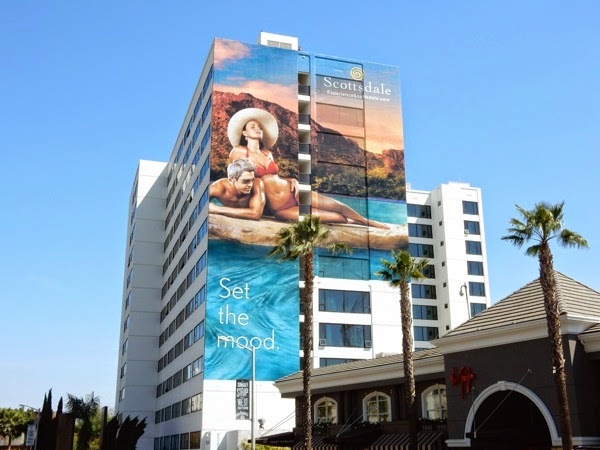 If you need more help setting the mood for your Summer vacation, maybe these other travel and tourism billboard examples will provide some inspiration too. 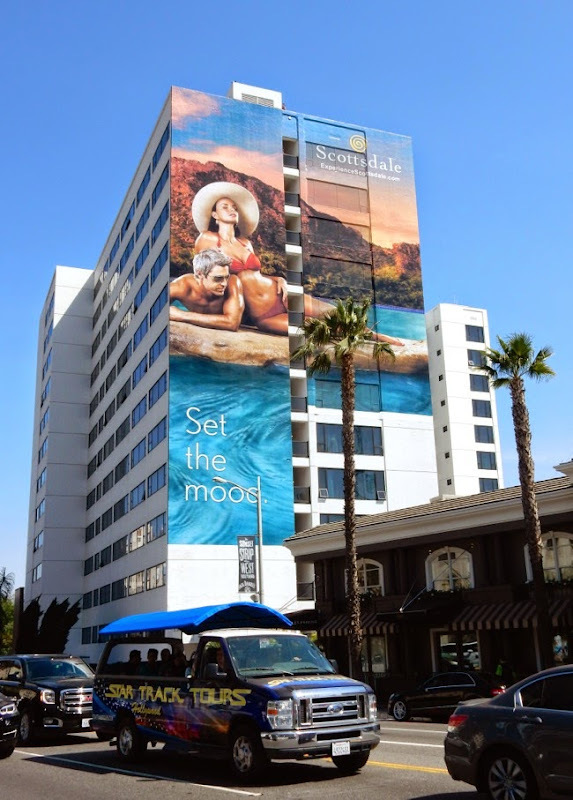 UPDATED: The super-sized Scottsdale ad creative has returned to the Sunset Strip to 'set the mood' again and was snapped once more on the side of the Mondrian Hotel on April 12, 2016. 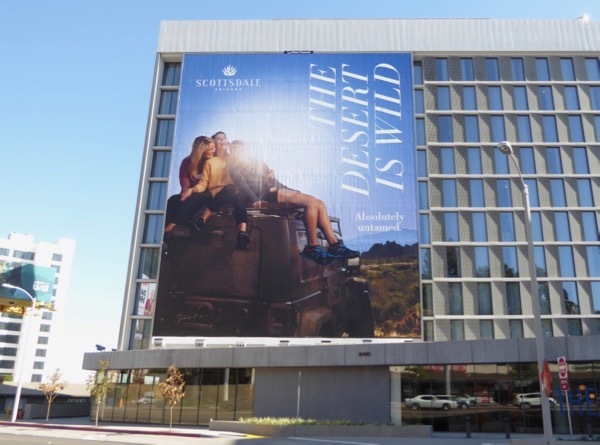 UPDATED: Here's another giant billboard for Scottsdale in Arizona, this time promoting the untamed adventure of the desert and was snapped along the Sunset Strip on October 5, 2017.